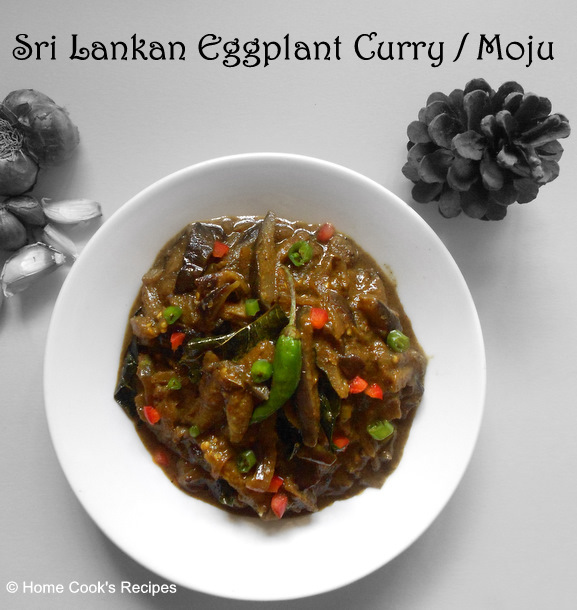 As I mentioned about Sri Lankan cuisine and my latest obsession with it, here iam sharing a very popular eggplant curry from sri lanka. This is also known as Brinjal Moju. Moju means Pickle. 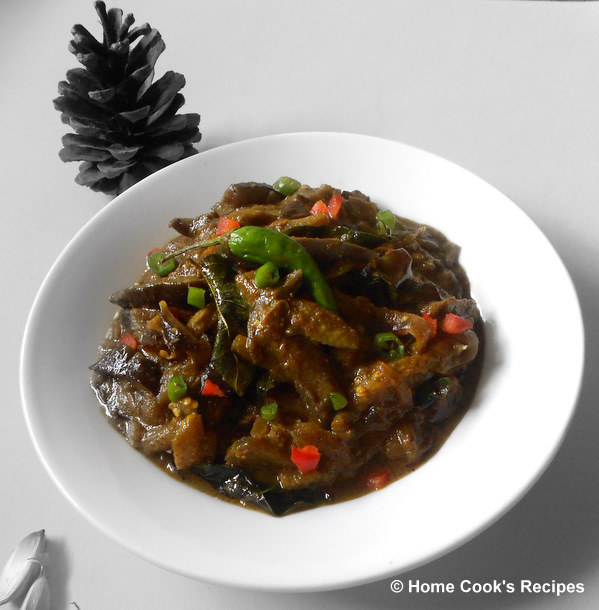 As the name implies, It has to be eaten along with rice, some dal, some stir fried greens and a little eggplant moju( just like we have pickle). I also served this pickle with dosa and it was also a winnig combination. We loved this curry very much. This curry is so spicy and sour. Vinegar adds the sourness and it complimented to the taste of curry. A little sweetness from sugar also made this curry a extra special. So here iam taking you all on a culinary travel to Sri Lanka..
Wash and slice the Eggplant into strips like french fries. Mix a tsp of salt and turmeric powder to the eggplant and let it marinate for about 30 mins. Heat Oil to Deep fry and fry the eggplant strips, till they turn brown and crisper. Drain the oil from fried eggplants in a strainer. 2 Heat 2 tsp of oil in a pan, add cinnamon, cloves, curry leaves, finely chopped green chilli and finely chopped small onions. Saute them all together till the onions turn translucent. Add a bit of salt, a pinch of turmeric powder, chilly powder and roasted curry powder and mix well with the onions. Once the Onions turn almost brown along with the curry powders, add the fried eggplant to the pan and give a mix. Add Coconut Milk and salt to taste and let the mix rest in slow flame for about a minute. Add the Grounded Gin-Garlic-Vinegar mix to the pan and mix well. Let the whole curry simmer for about 2 minutes. 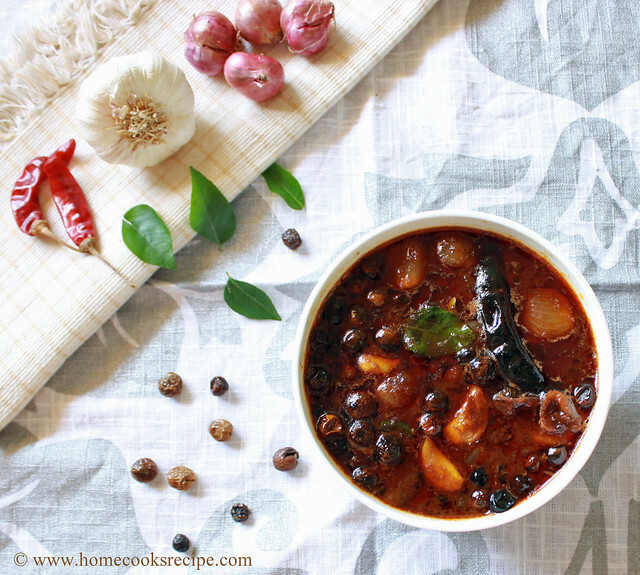 Garnish with Curry leaves and chopped green chilly. Serve along with Hot steamed Rice. Luv this yumm Moju done with brinjal.Luks colourful and deliciously yumm.Must try recipe daer.Thanks for sharing. 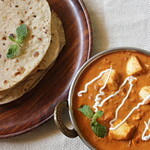 wonderful and delicious tempting curry. 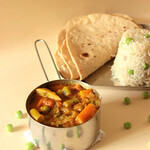 Slurp, fingerlicking curry, super tempting..
New kind of recipe,sounds delicious! wow, that sounds great, love the ingredients and spices, flavors going in the curry. I loveee this dish! 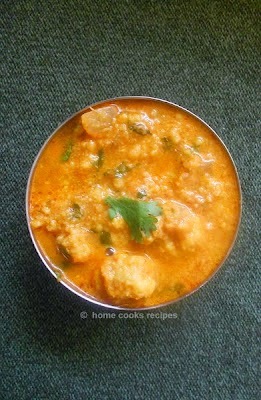 Thanks for the recipe I can make it at home :) Eggplant curry rules! wow...sounds amazingly tasty Lavi...love ur excellent cliks..